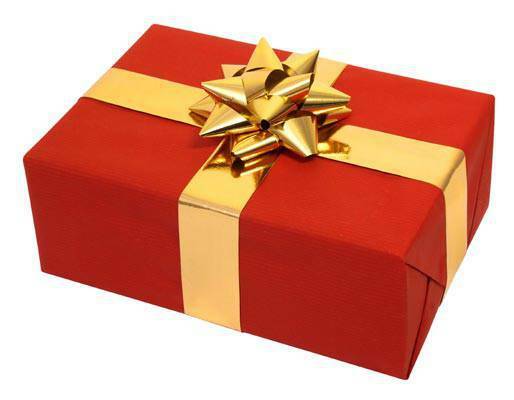 What gifts are appropriate to give to business associates? The Philippines is touted to have the longest and most festive Christmas celebration in the world, and it is another happy circumstance allowing Filipinos to exhibit that innate graciousness. But while shopping may be enjoyable, gift giving can be taxing, especially for entrepreneurs who have a business to run and whose sales spike during the holiday rush. Sending out numerous presents may also put a strain on a company’s budget, especially during an economic downturn. To lessen the stress, two experts on business etiquette share a gift guide to help lighten the load, making even the simplest tokens become memorable presents. “Filipinos are generally thoughtful. They give gifts ‘just because.’ They are sincere, and make sure that they make an effort to add a personal touch to their presents. Funny, but gifts are given even to people not that close to the person,” says Ruben P. Anlacan Jr., a management and business consultant and president of BusinessCoach Inc., a training facility that offers a course on Business Etiquette. Amor Maclang, PR and communications director of GeiserMaclang Marketing Communications, says today’s technology and fast-paced way of life has dimmed that trait that Pinoys are world-famous for, and gives a rundown of people that entrepreneurs should remember to give gifts to. Even when the business is down, it is still customary for business owners to give gifts on different occasions, Maclang says. The importance of one’s clients, associates and employees should still be acknowledged, so show the company’s appreciation through giving gifts or tokens to your loyal customers, she adds. Entrepreneurs should also give something to their employees—including the cleaning staff and the maintenance crew, because they are the ones who help maintain and grow the business, Maclang notes. With all the personalities that should be on a gift list, our experts share some considerations that help ensure that each present will be well appreciated: Price. “This really depends on one’s financial capability and budget allocation. But if gifts are for CEOs, partners and associates, a [gift] budget of around P2,000 to P5,000 is safe enough. For friends and staff, a person may spend somewhere around P300 to P1,000. What is important is to set the limit, and settle somewhere from mid-range up to the maximum amount in the plan,” says Anlacan. Avoid overwhelming, too expensive and too personal items like lingerie or perfume, unless the giver is very close to the receiver and he or she knows the other person will really like it. “Set price limits and stick to them. Be sensitive on this so as not to overwhelm the receiver by giving him an expensive item, nor disappoint another with a cheap item from a tiangge,” advises Anlacan. The gift must also be thoughtfully packaged, Anlacan says. “When giving to a group, food like customized and special cakes can be considered. Non- traditional gifts that pander to Filipino propensities is another good idea such as a gift certificate for a karaoke night,” suggests Maclang. christmas bonus christmas business opportunities Christmas gifts Christmas season What is the proper Christmas gift?